BOB ABERNETHY, anchor: Now a special report on suicide. Few of life’s events are as deeply tragic. Questions are left unanswered. Feelings of guilt can torment those left behind. And there is, for many, the agonizing doubt about whether the person who has completed suicide has, in that final act, sinned against God. In recent years many faith traditions have modified their views of suicide and looked more closely at what their role should be, in both prevention and healing. Betty Rollin reports. BETTY ROLLIN: For each life lost to suicide, the lives of many others are profoundly impacted. These are the people left behind — parents, husbands, siblings, children. They are called suicide survivors. 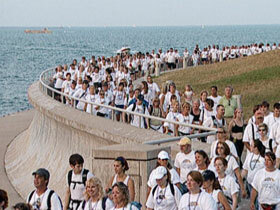 On this summer evening nearly 2,000 of them are walking 20 miles along the Chicago lakefront to raise funds for suicide research and prevention. UNIDENTIFIED WOMAN #1: My brother committed suicide four years ago yesterday. UNIDENTIFIED WOMAN #2: My dad committed suicide in front of me. UNIDENTIFIED MAN: My son Joey was 20 at the time. UNIDENTIFIED WOMAN #3: My brother, her husband, committed suicide on Christmas Eve of last year. It devastated our family. ROLLIN: Historically, in most religious traditions, suicide has been considered a sin. In light of this, many survivors have felt religiously stranded. How can their faith help them heal when that same faith may fault their loved one for the act of suicide? There are seven accounts of suicide in the Bible, but nowhere is it condemned. The Gospel of Matthew, describing Judas simply as the “betrayer” of Jesus, describes his hanging himself matter-of-factly, without judgment. It wasn’t until the fifth century that St. Augustine declared suicide to be a sin so grievous it would keep one’s soul out of heaven. So it remained until very recent times. 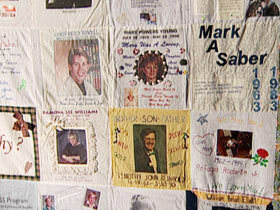 This display of quilts testifies to the grief of those who have lost loved ones to suicide. It is at the offices of Catholic Charities in Chicago, home of a ministry called LOSS — Loving Outreach to Survivors of Suicide. Father CHARLES RUBEY (Founder, Loving Outreach to Survivors of Suicide): Suicide happens because people are in extraordinary pain. To me, a person who completes suicide — the statement is, “I can no longer handle the pain in my life. I can’t go on anymore.” A person who completes suicide is not acting out of malice. They’re acting out of desperation. And God judges us negatively when we act out of malice. Fr. RUBEY: The Church has looked more benignly on survivors and on people who have taken their lives. They took the whole issue of suicide out of the moral realm and placed it in the medical realm, where it belongs. ROLLIN: Psychologist David Clark heads a center for suicide research and prevention. 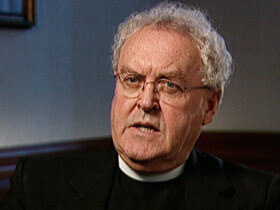 He has also examined clergy response to the families of people who have taken their own lives. 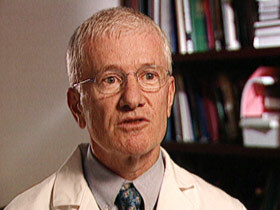 Dr. DAVID CLARK (Center for Suicide Research and Prevention): There is really nothing more hurtful, for example, than when a family member who’s just lost a parent or a spouse or son or daughter by suicide is looking for comfort, looking for solace, and instead of a human response they get some knee-jerk, doctrinaire response that’s probably outdated even for that faith. ROLLIN: Suicide is in fact a sin in most faith traditions. 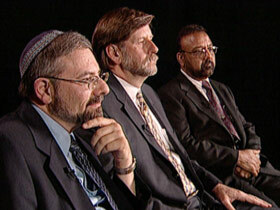 Rabbi JOSEPH OZAROWSKI (Jewish Healing Network of Chicago): Suicide is considered a very grave crime in Judaism. Reverend JERRY ANDREWS (Presbyterian Pastor): Taking of one’s own life is violating God’s intentions for us, and so it’s an affront to the Almighty there. Imam INAMUL HAQ (Benedictine University): Only God can determine when I should leave this world. Therefore suicide is one of the major sins in Islam. ROLLIN: Although there are shades of difference in the way religions view suicide, they now are more likely to take mental illness into consideration. Imam HAQ: A person who is normal, healthy, rational, balanced will not commit suicide. If I did not choose something with clear intention, Islamically I’m not liable for that act. Rabbi OZAROWSKI: The assumption more often than not is that people who commit suicide are doing so under mental anguish. Rev. ANDREWS: All human sin is forgiven. God’s nature is merciful. It is everlasting. ROLLIN: And so the response of clergy in the wake of suicide has become less judgmental and more supportive of survivors. Rabbi OZAROWSKI: We have an especial obligation to offer comfort to the family because of the societal stigma associated with a suicide and because the survivors themselves are probably sharing some guilt or having some very deep emotional feelings. Fr. RUBEY: They should just be there, from a pastoral point of view, because the family is shattered. Fr. RUBEY: “Is my loved one in hell? Are they at peace?” And I think the role of the clergy, the role of the pastoral associates is to say, “Yes they are at peace,” to give the survivors the assurance that their loved one is with God. STAN LEWY (Survivor): There are very few people who can understand the issues that eat at you when you lose a loved one to suicide. 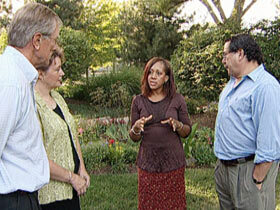 ROLLIN: These four people, all survivors, have had varying experiences with faith traditions following a suicide. When Briget Thompson’s mother died, an aunt described how she was mourning. BRIGET THOMPSON (Survivor): She said to me, “Now I have to mourn my sister again, because now I know she’s in hell.” And that was the hardest thing, one of the hardest things, I’ve had to deal with. ROLLIN: Was that coming from religion? ROLLIN: Bruce Engle was only seven when he lost his mother. BRUCE ENGLE (Survivor): The Church in those days taught that anyone who took their life by suicide was condemned to hell. It was the most grievous of all sins. And I had to go to church and pray that my mother wouldn’t burn in hell and ask God to forgive her of that sin. 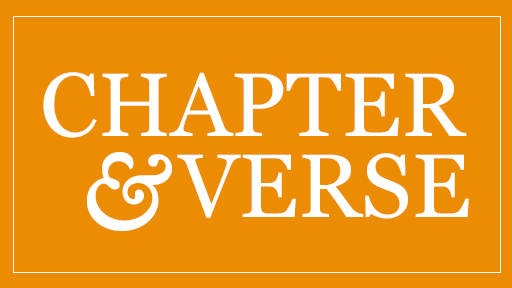 KATHY BUEHLER (Survivor): The one thing that, in his suicide note, that he wrote was — probably the last words he wrote — was “I’m sorry, God.” I felt very, very guilty that I was not there. The grief process is so intense and so complicated that I don’t think a lot of priests or clergy do understand what we’re going through. ROLLIN: Kathy Buehler did not lose faith. Ms. BUEHLER: Hope was why I got up in the morning, and faith was what got me through the night. I really feel that if you keep your heart and mind open that, you know, God’s grace will come to you, and you will find peace. ROLLIN: It is estimated that for every person who commits suicide, as many as 25 others attempt it. 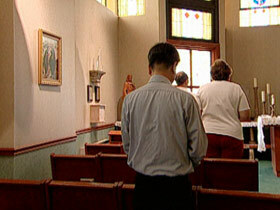 What should be the clergy’s response when confronted with a suicidal member of their church? Are they sufficiently trained to know how to respond? Fr. RUBEY: If the person is acutely suicidal, unless a clergyperson has professional training in behavioral health, they’re really not. I mean, we’re talking about someone’s life. ROLLIN: And yet, according to studies, people with severe psychiatric problems will initially seek help not from a mental health professional, but from a clergyman. Dr. CLARK: They’re closer to home. They feel safer with them. They trust them more. ROLLIN: Can that be dangerous? Dr. CLARK: Sure, depending on the amount of training they have. If they try to do it solo, with too little training, and they don’t realize what they’re working with, it can be a kind of ticking time bomb. ROLLIN: And there is no evidence that people who are religious are less likely than anyone else to suffer from depression or to take their own life. Fr. RUBEY: Many, many years ago, it was the opinion that people who are attached to organized religion had less of a chance of completing suicide. That’s no longer the case. Again, suicide is not about religion. It’s not about morality. It’s about pain. ROLLIN: But there is considerable data showing that in countries where one religion — say, Catholicism or Islam — is predominant, suicide rates are far lower. Dr. CLARK: In communities and in states and in countries this works as a trend. State by state, in the United States, too, in those regions where the social fabric is homogenous — that is, where everybody practices and believes the same religion — we see lower suicide rates, higher church attendance rates. ROLLIN: These are communities, Dr. Clark says, where people feel more secure, more knitted to the community, and where they are less likely to feel the kind of alienation that can lead to suicide. Dr. CLARK: What the public needs to understand, and what the clergy, I think, are becoming more and more familiar with now, is that the typical death by suicide is someone who, three months or four months before they killed themselves, was well and healthy and vigorous. Circumstances pile up, and one of those circumstances is an acute illness. Sometimes suicide is such a compelling solution, such a compelling way out, that it’s really all that they can think of to do. And yet we see it in treatment all the time. Had they lived another few weeks, had they responded to medication or therapy, the sun would come out; they’d feel their old selves. Suicide would be the last thing they’d think about. ROLLIN: Through their grieving, the people who walked those 20 miles through the Chicago night have learned about the dangers of depression. Only in the past 20 years have seminaries begun bringing in mental health professionals to teach about depression and suicidal behavior. For the clergy who can play a crucial role in both prevention and healing, a lot has been learned. But, according to the experts, there is still a long way to go. For RELIGION & ETHICS NEWSWEEKLY, this is Betty Rollin in Chicago.